Meet our team of caring dental professionals. In order to provide you with quality patient-centered care, we have employed a team of passionate professionals at Generations Dental. Visit our Rocky River, OH and Parma, OH office to learn firsthand! We provide care for all ages, through the Generations! We will listen intently to your smile goals and concerns to provide the best care we can. We will also thoroughly explain your treatment options and what to expect from each procedure so there will be no surprises. 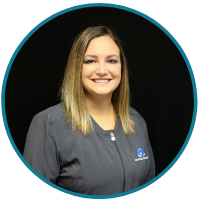 From the front administrative team, to our amazing hygienists, and finishing with our amazing Dr. Holly B.Waite, this group of dental professionals will work hard to make your visits pleasant and your smile beautiful. We can’t wait to get to know your whole family and help improve your pearly whites! 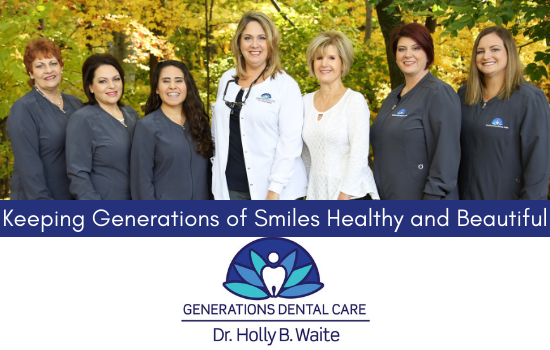 Generations Dental, Keeping Generations of Smiles Healthy and Beautiful! Dr. Waite is an experienced General and Cosmetic Dentist who delivers comprehensive, compassionate care in a family friendly dental practice. With dedicated work ethic, integrity, and expectation for excellence, Dr. Waite is the primary provider of general dentistry services to all ages. Services range from Diagnostic, Preventive, Restorative, Cosmetic, Crown and Bridge, Implant restoration, Removable Prosthetics, Endodontics, Extractions, Pedodontics, and Orthodontics, including MTM appliances. 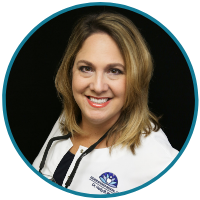 Kelli has been in the dental field since 1994. She has 15 years experience in oral surgery, implants, wisdom teeth and pathology. She is married 20 years to her husband Allen and they have 3 children. In her spare time she enjoys throwing darts and belongs to the Cleveland Darter Club. She also enjoys Cleveland Sports rooting for her home team in every season. She looks forward to managing your dental needs in the Rocky River Location for generations to come! 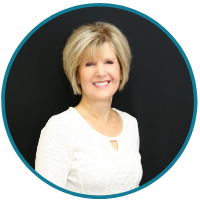 Judy helps to keep our front office running smoothly and loves to keep up on the latest news from our clients and help calm any fears. When not busy in our Parma location Judy loves to travel to Florida and spending time with her granddaughter and family. 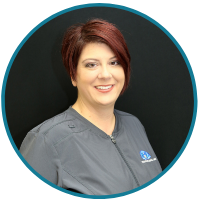 Crystal has worked as a dental hygienist for 10+ years. She enjoys working with our clients to keep their beautiful smiles clean and healthy. When she isn't working at either of our locations, she enjoys spending time with her husband and 3 children and traveling to the Outer Banks. 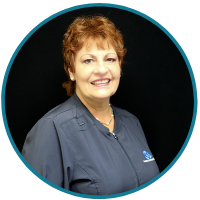 Marita has been caring for dental patients for over 30 years. She enjoys interacting with our clients and keeping up with their families. When not busy in our Parma office she can be found walking her dog and enjoying a great Masterpiece Theater show! 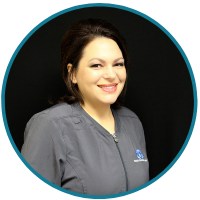 Kari is a Certified Dental Assistant and EFDA. She has worked in the dental field since 2005. Kari resides in North Ridgeville with her husband and 2 children. She enjoys spending time with her family and taking small weekend getaways with her husband. 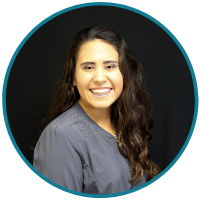 Rachel assists at the Parma office on a part time basis while she is finishing her degree in dental hygiene. When not working or busy with her studies she enjoys traveling, hiking and spending time with friends and family.